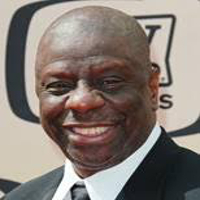 JIMMIE WALKER is a comedian who’s been making audiences laugh for decades. He burst onto the scene as J.J. Evans in the classic sitcom Good Times. Earning both an NAACP Image Award and Golden Globe nomination, Jimmie went on to appear in huge shows and movies such as The Love Boat and Airplane! In addition to being an actor, Jimmie has found great success as a comedian, headlining both in the US and internationally.